I got my wisdom teeth removed on Monday. I have been in misery this past week. It was definitely worse that I expected. So I've had such a limited diet this week and I've basically been living off of this smoothie. It's summery, chilly, and yummy. Strawberries, blueberries, and watermelon. You can't go wrong with this! Especially when you're mouth is the size of a watermelon. 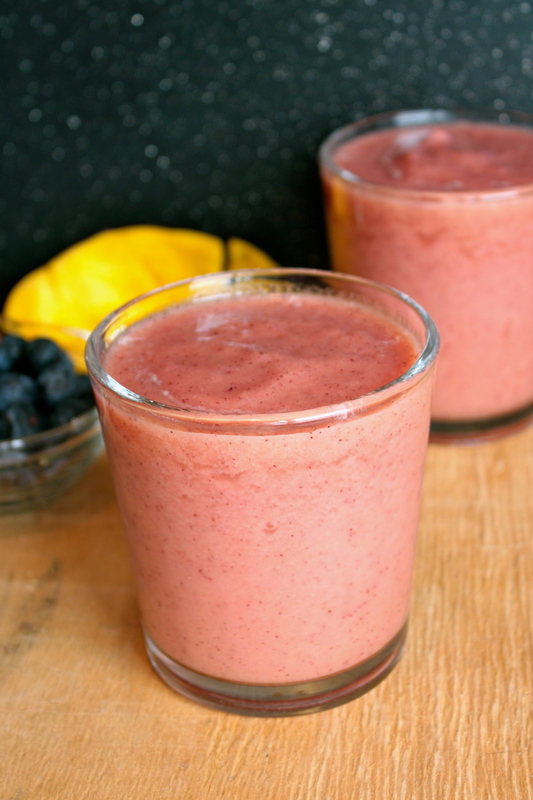 Throw all of the ingredients into a blender. Blend until smooth. Enjoy!